April 2014 - Guardian Safety Solutions International, Inc. The Chula Vista Apartments off East Park Row Drive kitchen fire in Dallas, our hometown, at around 5:30 p.m. Saturday was preventable. 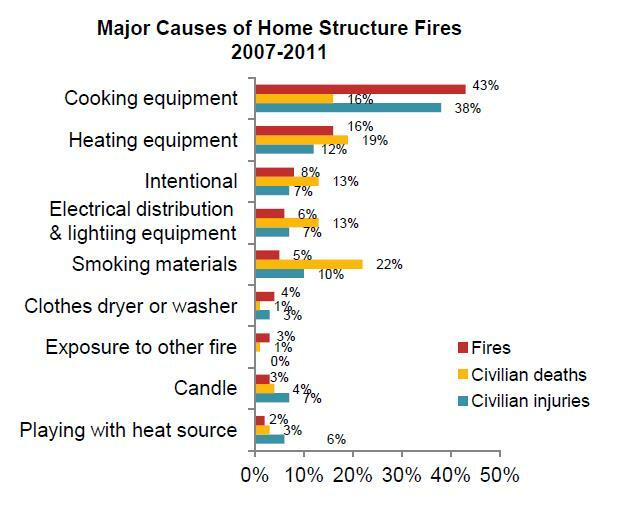 Sadly, about 45 house fires are reported every hour in the U.S., and 60 percent of apartment fires are started by cooking. Paul Rouse, Administrative Officer/Sales & Operations Director for Guardian Safety Solutions International, Inc. is a 34-year veteran of the fire industry. 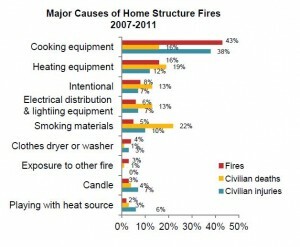 He says more than 12 million unintentional home cooking fires go unreported causing 640,000 injuries annually. Rouse says Texas, as well as other states, should require mandatory range top suppression equipment in new buildings or remodels just like sprinklers and earthquake shut-off valves are. GSSI manufactures the Guardian III Model G300B, UL and ULC listed with a fuel shut-off. “The Guardian is designed to detect and extinguish cooking fires and prevent re-ignition in private homes, apartments, senior housing, college campuses, hospitals and other facilities. Even older kitchens can be retrofitted as well,” Rouse said. (See how the Guardian works here). If you’d like to learn more, please read the post here.